Gift Ideas : Unbelievable deals for a limited time… Don’t wait! Unbelievable deals for a limited time… Don’t wait! This is the time to treat yourself! While our American neighbors will soon be celebrating their Thanksgiving holiday and taking advantage of Black Friday deals at the end of the month, here, too, we’ll get the chance to visit our favorite retail stores to take advantage of out of this world great savings! 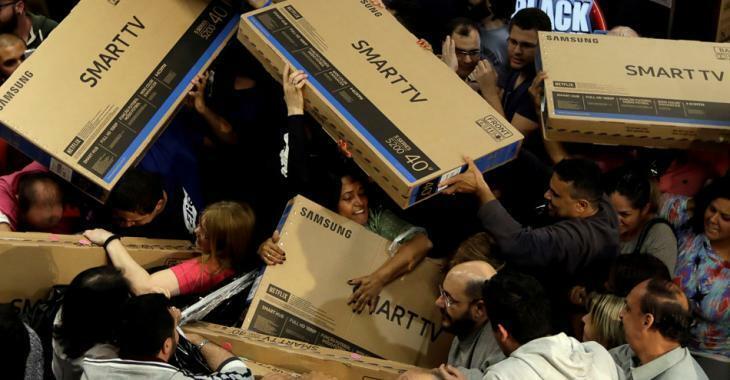 For electronics, make your way to Stereo+ for the best Black Friday savings! This amazing sale will last more than just one day, giving you ample time to choose from our vast selection of audio and electronic products. You’ll be blown away by their impossible to resist offers! Hear ye, hear ye! During Black Friday at Stereo+, Bose and Sonos products will be on sale. Yep, that’s right, that wasn’t a typo! It’s quite rare to get the chance to take advantage of great sale prices on products from these two mega brand names so mark it down on your calendars! Whether you’d like to get your hands on Sonos One, the Sonos Beam smart soundbar or the Bose QuietComfort35II noise canceling, wireless Bluetooth headphones, or better yet the Bose Soundlink Revolve portable, waterproof Bluetooth 360 Speaker, Stereo+ will have them priced lower than anyone else around, between November 16th to 29th. Samsung QLED (Q6) televisions of the year as well as the Sony XBR55X900F model, you won’t be able to say no to these deals! Stereo+ will spoil you even more during this Black Friday period; get a set of free Bluetooth headphones with the purchase of any 4K television of at least 55 inches with integrated Bluetooth technology. They have a ton of sales! Sound systems, home theatre speakers, tablets, wireless speakers, give in to the temptation of shopping from the very best brand names. And, since this absolutely insane sale (and very short-lived) takes place just before the holiday season, take this opportunity to purchase your holiday gifts! Scratch a bunch of people off your holiday gift list! Take a peek at your loved ones’ Christmas wish lists and if you see anything to do with electronics or audio equipment, voila! Don’t miss out on this perfect opportunity! You certainly won’t find prices like these on December 24th, that’s for sure! Where to go to find all these savings? To take advantage of all these savings, between November 16th and 29th, make your way over to the Stereo+ website to purchase some of your favorite products and make your friends green with envy at all the money you’ll save!